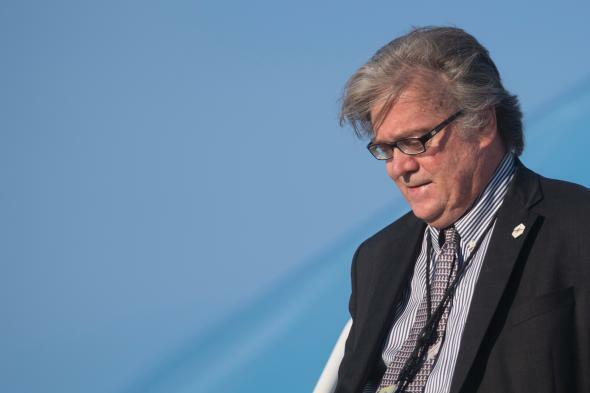 FBI documents reveal details of Breitbart's DDoS. Breitbart Told the FBI It Was the Victim of a Cyberattack. But Apparently Its Own Advertising Was to Blame. Current Breitbart executive Steve Bannon. That email appears in a trove of heavily redacted documents available on the FBI’s public “Vault,” a collection of documents made available under the Freedom of Information Act. As other emails and memos in the file indicate, the FBI took Breitbart’s request seriously, as it should have. The investigation, however, soon revealed that things weren’t quite what they seemed. DDoS—or distributed denial of service—attacks are one of the most important weapons of contemporary cyber warfare. They typically involve sustained and repeated requests from multiple computers or internet-enabled devices on a site, a process that often takes it offline. In October of last year, an Internet of Things-enabled botnet temporarily downed much of the internet on the United States’ east coast. On other occasions, DDoS attacks have served more explicitly political functions, which seemed to be the case when one disabled Planned Parenthood’s website in 2015. It stands to reason, then, that the Trump-aligned Breitbart might have been the victim of similarly inclined malefactors. In fact, a popular post from February of this year on Reddit’s r/The_Donald accused a “former Berkeley student” of advocating just such an attack on the media company. In response, one seemingly appalled commenter offered a link to the FBI’s tip line. The call, in other words, was coming from inside the house. No free speech martyr, Breitbart instead appears to have been the victim of its own sales team. To be fair, redactions in the FBI’s documents make it hard to determine the exact details of the story. The investigation does appear to have continued after the advertising revelation, but the bureau’s subsequent analysis and findings have been removed from the FOIA’d file. It’s certainly possible, then, that a “criminal” really was behind the attack. Possible, but not likely. In any case, Breitbart may not have to worry about a repeat incident. Advertising on the site has declined precipitously since the presidential election, thanks in part to a sustained boycott effort. If that trend continues, it’s possible that Breitbart will soon be safe from its most dangerous enemies.